We’re barely into the new year and the Tableau Foundation diary is filling up fast! Here’s a quick look at five gatherings of data do-gooders we’re excited about in 2018. While it seems like just yesterday that the UN unveiled the Sustainable Development Goals, the global community is already a fifth of the way to the 2030 deadline. Hosted by the Global Partnership for Sustainable Development, the Data for Development Festival will be a great temperature check on many governments’ progress toward their commitments. Not to mention the 17 goals, underpinned by 230 indicators, are a data geek’s paradise. The challenges along the way are significant—normalizing data collection, making them interoperable across agencies and borders, integrating unofficial data sources, and disaggregating data so that no group is underrepresented or left behind. The challenges are as much about humans and official processes as technical capability and analytical frameworks. The event should be a great opportunity to share and celebrate successes, take a hard look at what isn’t working, and find inspiration in unexpected places. Doing good and doing well are often assumed to be opposing interests for corporations. The reality is quite the opposite—companies that focus on helping people and solving social challenges can find new customers, save money, retain talent, and set themselves up for success in a constantly changing environment. The Shared Value Leadership Summit is a global gathering for companies who believe in this approach, bringing them together with peers and partners to compare notes and learn from leading thinkers in business, academia, and government. Tableau Foundation Director Neal Myrick shared our story at last year’s Summit, and this year we’re excited to expand the conversation about new Tableau-based diagnostic tools for companies to assess their shared value potential. The tenth annual edition of the ICT4D Conference will bring technologists in the humanitarian and international development community to Zambia, the heart of the VisualizeNoMalaria initiative. The flagship partnership between the Tableau Foundation, PATH, and Zambia’s Ministry of Health to integrate visual analytics into the country’s malaria elimination efforts has already led to a 93% reduction in reported malaria cases in Zambia’s Southern Province in just three years. The ICT4D conference will be a great opportunity to showcase how data empowers a more aggressive approach to disease elimination, where the Ministry of Health has seen its greatest gains as it expands to new provinces, and how predictive analytics may influence the program’s future. For the past 17 years, devex.com has been the perennial trade publication for global development project work and the institutions and career professionals who support that work. Its coverage is fair and respected, with insightful and connected staff who happen to be pretty amazing with data. DevexWorld was created in 2016 as an opportunity for professionals from across the industry to discuss the present and future of development work. It’s a community that thinks deeply about designing, resourcing, and delivering programs to improve the lives of people in every part of the world. 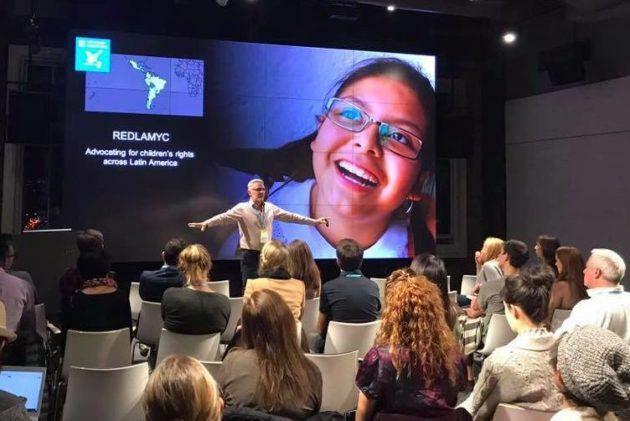 For Tableau Foundation and our partners, it's also an opportunity to showcase how data and visual analytics can empower new models and methodologies—and hopefully seed a new generation of data-driven development projects. The capstone of an exciting year, the second annual UN World Data Forum in Dubai will bring leaders from across the UN system together with information technology and geospatial data experts, data scientists, non-governmental organizations, and civil society innovators. A result of a 2014 report entitled “A World That Counts,” the event will pick up on the mantle of the UN’s Data Revolution, helping governments around the world collect, build trust in, and develop policy through data. Connect with us and let’s make 2018 a year of data-driven impact. We hope to see you out in the world, too! Are you planning to attend one of these events? Comment below — we'd love to connect!